Our team is made up of researchers from the Berlin Brandenburg Academy of Sciences and Humanities and the Berlin Münzkabinett. Ulrike Peter wrote her thesis on the backgrounds of the coinage of the Thracian dynasts and is working on Ancient numismatics in the Berlin-Brandenburg Academy of Sciences and Humanities. Her main research interests lie in the ancient coinage and history of money in Thrace as well as the reception of ancient coins in the Renaissance. Currently she is working on the coinage of Topeiros and Philippopolis and on the coins of Gordian III and Philipp Arabs minted in Thrace and Moesia inferior. She is a member of the steering committee of Nomisma.org. Bernhard Weisser wrote his PhD about the Greek Imperials of Pergamum. He is the curator of ancient coins and the director in the Münzkabinett der Staatlichen Museen zu Berlin. Since 2004 he is responsible for the digital publication of the collection of the Münzkabinett in the database IKMK. In CN he also is responsible for Mysia. Karsten Tolle is a computer scientist with his roots in databases and semantic web. He is currently the director of the Big Data Lab at the Goethe-University Frankfurt am Main. Since over ten years, he is working in the domain of ancient coins, working on data integration and data quality issues. 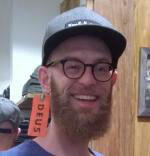 Starting from about 2010, he is also member of the steering committee of Nomisma.org. 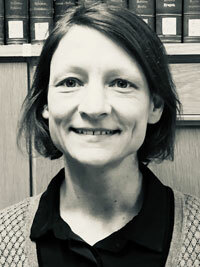 Angela Berthold has been concentrating on numismatic research since her PhD in classical archaeology in 2008 (Halle/Saale). In a post-doc research project in the Berlin excellence-Cluster TOPOI she studied three-dimensional representation on ancient coins. Now in CNT she is especially interested in the coins of the Thracian Chersonesos and in the iconography of early Thracian coinages. Daniel Althof studied Philosophy, German Literature and Computer Science. Since 2015 he is working at the Berlin-Brandenburg Academy of Sciences and Humanities as a researcher in the field of digital humanities with the main focus on PHP development. Domenic Schäfer studied Ancient History in Bamberg, where he received his master degree in 2016, and subsequently studied neighboring disciplines of Ancient History, such as numismatics, in Cologne. His numismatic interests concentrate on the coinage of the imperial period. He is writing his PhD thesis on coins and monuments of/for Severus Alexander. Georgia Bousia studied Ancient History and Archaeology in Greece and received her master‘s degree in Classical Archaeology from the Humboldt University of Berlin. Since 2013 she has been working on numismatic related projects at the Berlin-Brandenburg Academy of Sciences and Humanities and at the Berlin Münzkabinett. Greek Numismatics and especially the Thracian coinage are the main fields of her interests. 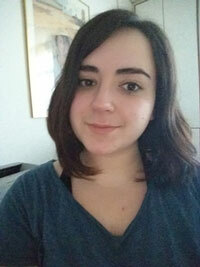 Andrea Gorys studied classical archaeology, ancient history and prehistory in Göttingen, Bonn and Munich. She was member of several excavations in Italy and Turkey (Milet, Pergamum). She got her “Master Artium” degree for a work about greek portraits. Since 1993 she also is involved in ancient numismatics. Now in CN she is working about the coinage of Mysia. 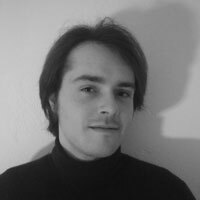 Sebastian Gampe studied Classical Archaeology in Frankfurt am Main and got his “Magister Artium” Degree in 2014. One year later he began his studies in Computer Science in Frankfurt. His main research interests are ancient iconography and database development for numismatics and archaeology in connection with machine learning. Lily Grozdanova has a PhD in ancient history and Thracian studies. Since 2012 she has been a lecturer at «St. Kliment Ohridski» University of Sofia, Faculty of History. Her research is mainly focused on the development of the Roman Empire and particularly its Thracian provinces in the second half of the third century CE — the time of the so called «military emperors». She was a post doc fellow within the research project (B-4-2) Region and Memoria: Local History and Local Myths on Thracian Provincial Coins of the excellence cluster TOPOI. She is studying the coinage of Pautalia. Hristina Ivanova was born in Shumen, Bulgaria, and studied classical and near eastern archaeology in Heidelberg, succeeded by postgraduate studies in classical archaeology in Berlin. Her interests concentrate on contacts and acculturation as seen in different media carriers and contexts. 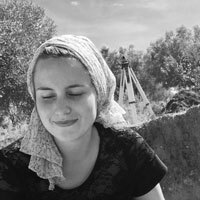 She is preparing a thesis on the coinage on Apollonia Pontike and working at the German Archaeological Institute in Athens. Hannah Vogler discovered her affinity for coins in 2017 as a student assistant in the Thrace Project and has since been part of the team of the Berlin Brandenburg Academy of Sciences and Humanities in very different areas of responsibility. 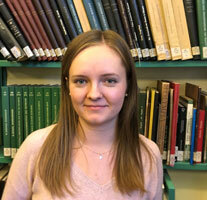 She studied Classical Archaeology and Art History in Heidelberg and Berlin and is currently (2019) writing her Masters thesis on the Archaeological Collection of the Winckelmann Institute at the Humboldt University in Berlin. Nina Horn-Wittkuhn studied Classical Archaeology and Egyptology at Humboldt-Universität zu Berlin, where she received her bachelor’s degree in 2018. 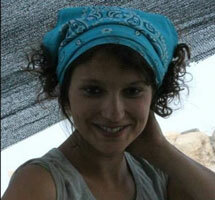 She is currently a Graduate student in Near Eastern Archaeology at Freie Universität Berlin. Roxana Lechner holds a Bachelor of Arts degree in Art History and French Language and Literature from the Freie Universität Berlin where she is currently completing her master’s degree in Art History in a Global Context. She was a student assistant in the Thrace project at the Münzkabinett. Since 2018 she has been working as a student assistant in the project "Corpus Nummorum Online – the ancient Greek coins of Moesia inferior, Mysia and the Troad" at the Berlin Brandenburg Academy of Sciences and Humanities. Ioanna Maina has been a student assistant in the project since December 2018. She was born in Athens, Greece, and is currently studying History and Classical Archaeology at the Humboldt University in Berlin. David Hack studied Classical Philology, Ancient History and Classical Archaeology in Heidelberg, attaining his master degree in 2017. His numismatic interests focus on the coinage of Asia Minor, especially in the imperial period. He is writing his PhD thesis on the civic coinage of Cyzicus in Roman imperial era. Paula Michalski is a student assistant in the CNT-project at the Münzkabinett since 2018. After completing her Bachelor's degree in History and Classical Archeology in Berlin and Istanbul, she now focuses on Classical Archeology in her Master's degree at the Humboldt University of Berlin. Her main interest is Western Asia Minor in Hellenistic and Roman times and she conducted archaeological fieldwork in the Pergamon excavation of the German Archaeological Institute. 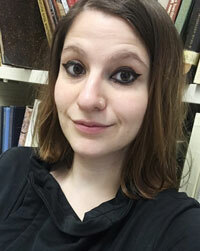 Sasha Agins graduated from Bryn Mawr College in 2014 with a Bachelor in Classical and Near- Eastern Archaeology. She came to Germany in 2017 on a Fulbright scholarship, focusing on digital humanities at the Berlin School of Library and Information Science. She is currently a master student of Classical Archaeology at the Humboldt University in Berlin and is a student assistant in the Corpus Nummorum Project. Elise Hanrahan is a researcher in the field of digital humanities and has worked on various projects at the Berlin Brandenburg Academy of Sciences and Humanities. In CNT she was responsible for realizing a project's goals into IT solutions, from data modeling to web programming. She received a bachelor's degree in Liberal Arts from St. John's College in the USA and a master's degree in textual criticism (Editionswissenschaft) from the Freie Universität Berlin. 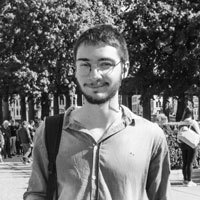 Stefan Dumont is a researcher and developer at TELOTA, the Digital Humanities working group of the Berlin-Brandenburg Academy of Sciences and Humanities. Since 2017 he has also been the scientific coordinator of the DFG project "correspSearch - Connecting Scholarly Editions of Letters". Alexa Küter focused on Augustan moneyer's coinage in her PhD (2008). After a four-year-stop at Deutsches Historisches Museum, she joined the Münzkabinett for various projects. She has been a CNT member in 2017/2018. 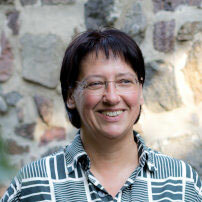 Alexa is chief editor of the numismatic journal "Geldgeschichtliche Nachrichten". 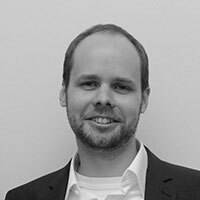 Alexander Thies studied History and Classical Archeology and is currently student assistant for Ancient and Medieval History at the Institute for History at Humboldt University (Berlin). His Bachelor thesis focused on the relation between ancient monks and emperors. He was intern at the Münzkabinett der Staatlichen Museen zu Berlin and worked in 2018 as student assistent at the Corpus Nummorum of the Berlin-Brandenburg Academy of Sciences and Humanities. 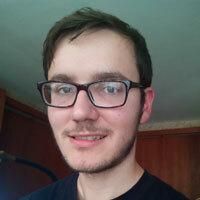 Teodor Trancă is an undergraduate student pursuing a BSc at Durham University, currently training for one year in Near Eastern Archaeology at the Freie Universität of Berlin. 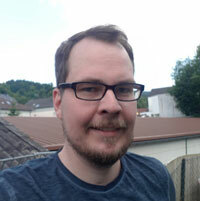 He is interested in Digital Heritage and scientific aspects in Archaeology.